The 2018 China International Trade Facilitation Forum, jointly sponsored by the China Council for the Promotion of International Trade (CCPIT) and the Shenzhen Municipal People's Government, concluded recently in Shenzhen. With the theme of "Trade Facilitation—A New engine for Global Economic Development," the forum focused on international trade facilitation and discussed suggestions and ideas on the optimization of business environment. The forum is also tasked to seek new ideas, expand new paths and draw a new blueprint for the facilitation of China's international trade. Zhang Shenfeng, vice president of CCPIT, makes a speech at the forum. 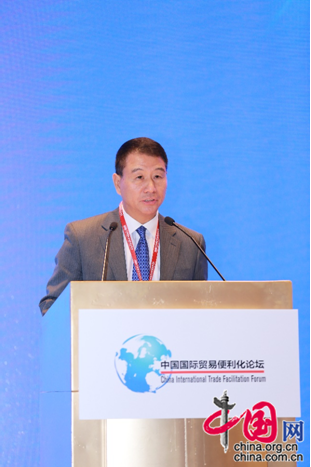 Zhang Shenfeng, vice president of CCPIT, said in his opening speech that CCPIT will continue to improve the level of trade facilitation. Through deeper participation in FTA negotiations, building a broader platform for promoting trade and investment, and providing more commercial law methods, it is possible to remove trade barriers and help to promote the sustained and healthy development of global trade. Yi Xiaozhun, makes a speech at the forum. Yi Xiaozhun, deputy director-general of the World Trade Organization, also attended the opening ceremony. He gave praise to the forum and said that efficient customs clearance is an important cornerstone of the global value chain, and trade facilitation is the "soft infrastructur" of the Belt and Road Initiative. A number of business representatives also attended the forum and spoke on their expectations and recommendations on trade and investment facilitation. 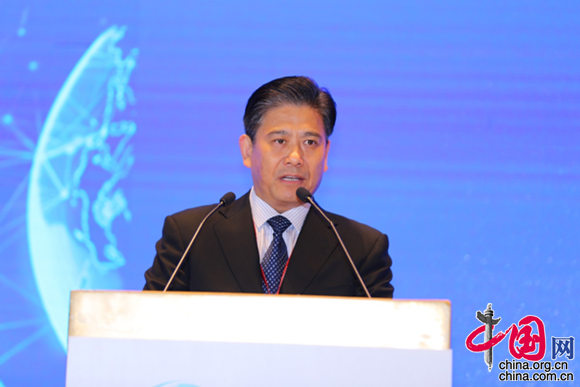 Xiang Xiaofang, government affair director of DuPont China, said that for a long time DuPont China has been consistently supporting China's trade facilitation, and the company itself has received tangible benefits. Song Zhenghuan, president of Goodbaby International Holdings Limited, spoke on his experience of opening up and doing business globally. 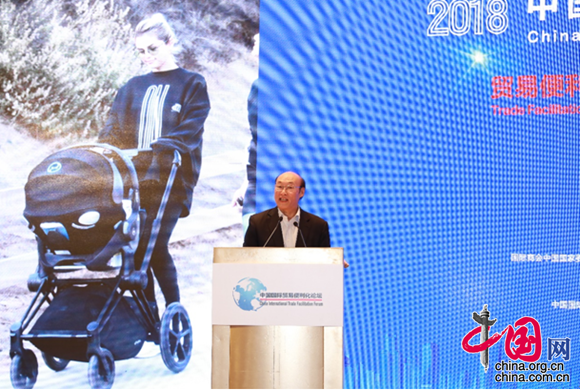 Song Zhenghuan, president of Goodbaby International Holdings Limited, makes a speech at the forum. During the forum, Gary Gereffi, director of the Global Value Chain Center at Duke University, Zhao Zhongxiu, vice president of the University of International Business and Economics, Graham Slack, chief economist of Maersk Group, Mei Xinyu, researcher at the Chinese Academy of International Trade and Economic Cooperation, and other guests unanimously praised and called for implementing more solid actions on trade facilitation, and expressed firm support for a global system of multilateral trade. Qin Yang, secretary-general of the Organizing Committee of the China International Trade Facilitation Forum and expert committee of CCPIT, told reporters that the forum was held for the first time in 2012 and was officially approved by the State Council. It is by now China's largest and most high-profile conference featured in trade facilitation. "We will actively build a platform for communication, exchange and cooperation between the government and the business sector, by jointly exploring new measures to further optimize the business environment and enhance the level of trade facilitation, we aim to firmly promote trade facilitation," Qin said. "We will make new and greater contributions to the construction of a new pattern of China's comprehensive opening up." The 2018 China International Trade Facilitation Forum, jointly sponsored by the China Council for the Promotion of International Trade (CCPIT) and the Shenzhen Municipal People's Government, concluded recently in Shenzhen.